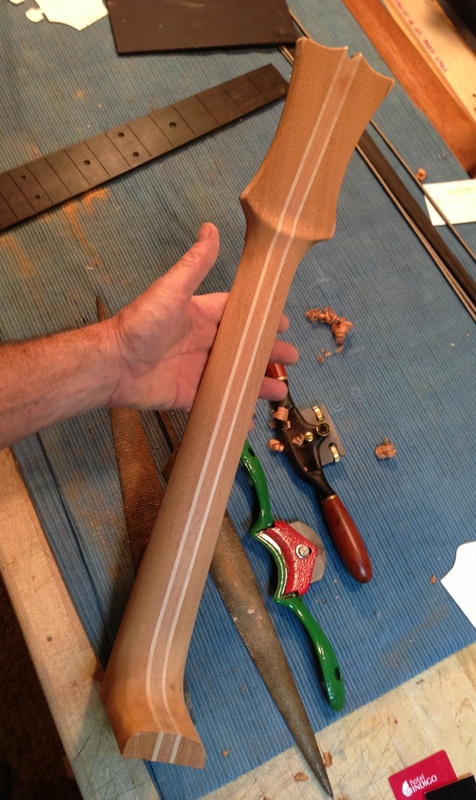 Nice progress on this hand carved neck. Made of three mahogany layers with two laminations of maple. Next Post In the guitar workshop this month.